Get some cultural insight at The Rocks and Sydney Opera House. Visiting Bondi Beach and Bondi to Coogee Beach Coastal Walk will get you outdoors. Explore the numerous day-trip ideas around Sydney: Featherdale Wildlife Park (in Blacktown), Pulpit Rock Lookout (in Blue Mountains National Park) and Bouddi National Park (in Killcare). Spend the 14th (Fri) wandering through the wild on a nature and wildlife tour. 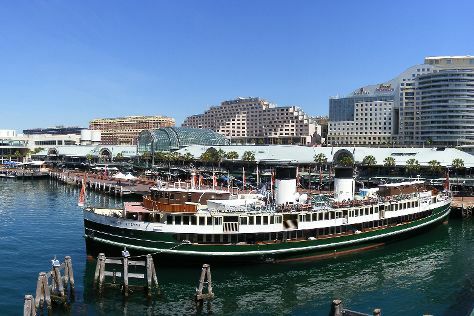 Next up on the itinerary: browse the eclectic array of goods at Sydney Fish Market, take a stroll through Darling Harbour, don't miss a visit to Queen Victoria Building (QVB), and stroll through Manly Beach. For reviews, photos, ratings, and other tourist information, read Sydney travel route planning website . Dubai, United Arab Emirates to Sydney is an approximately 16.5-hour flight. You can also do a combination of shuttle and flight; or do a combination of flight and bus. The time zone difference when traveling from Dubai to Sydney is 6 hours. Expect a daytime high around 32°C in December, and nighttime lows around 21°C. Finish up your sightseeing early on the 16th (Sun) so you can travel to Melbourne. 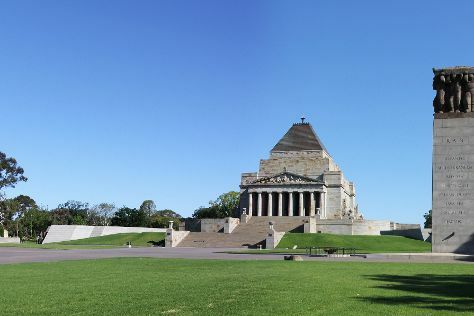 Get some cultural insight at Melbourne Museum and Shrine of Remembrance. Take a break from the city and head to Trin Warren Tam-boore and Nature & Wildlife Tours. There's much more to do: shop like a local with Melbourne Central, meet the residents at Melbourne Zoo, admire the masterpieces at National Gallery of Victoria, and take in panoramic vistas at Eureka Skydeck 88. To see maps, reviews, other places to visit, and tourist information, refer to the Melbourne journey builder tool . Traveling by flight from Sydney to Melbourne takes 3.5 hours. Alternatively, you can do a combination of flight and shuttle; or drive. Plan for a bit cooler nights when traveling from Sydney in December since evenings lows in Melbourne dip to 14°C. Wrap up your sightseeing by early afternoon on the 21st (Fri) to allow time for travel back home.